Julie Hall Williams is the new Leadership Gift Officer at Colby College, Waterville, Maine, reporting to the Director of Leadership Giving. Julie is joining Colby at an exciting and defining moment in the College’s history and will be contributing to the ambitious and transformational $750M Dare Northward campaign. Reporting to the Director of Leadership Giving, Julie will develop and solicit a portfolio of individual donors and prospects in support of College priorities and as a critical component of Colby’s comprehensive campaign. 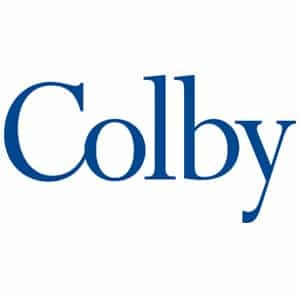 As a Colby alumna, Julie brings invaluable perspective and insight into Colby’s culture, history, and constituency, as well as a personal connection and passion for the College’s priorities and success. Julie brings to the team more than a decade of development experience in major gifts, annual giving, and programmatic roles. At the outset of her development career, Julie developed and led new programs for donor groups at Historic New England, Boston, Massachusetts, including the Young Friends of Historic New England and the organization’s first corporate giving program. She most recently worked for The Trustees in Boston, Massachusetts, where she was promoted four times over a seven-year span, most recently serving as the Director of Development and Annual Giving. During her tenure, Julie oversaw five annual giving campaigns, spearheaded the organization’s first leadership donor prospecting program and managed a governance program of more than 500 volunteers. Julie’s personal investment and professional expertise will be a strong asset to Colby’s leadership gifts team and Dare Northward campaign.